Penn Avenue between Twenty-ninth and Thirtieth Streets. Streets--Pennsylvania--Pittsburgh. 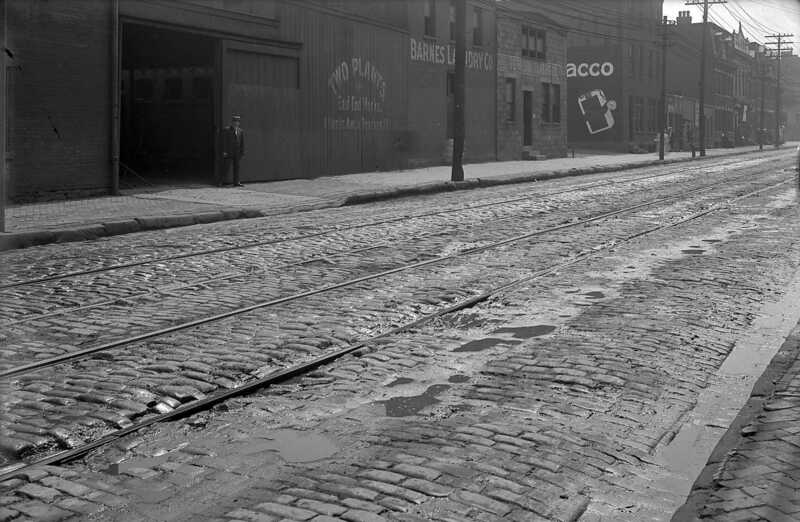 ; Street-railroad tracks--Pennsylvania--Pittsburgh. ; Pedestrians--Pennsylvania--Pittsburgh. ; Commercial buildings--Pennsylvania--Pittsburgh. ; Penn Avenue (Pittsburgh, Pa.). ; Strip District (Pittsburgh, Pa.).